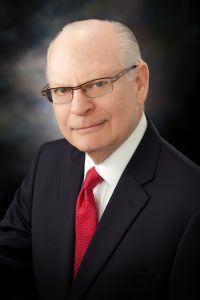 Joseph R. Pulaski - Weycer, Kaplan, Pulaski & Zuber, P.C. Attorney - Weycer, Kaplan, Pulaski & Zuber, P.C. Mr. Pulaski has been practicing primarily in the area of real estate law for over thirty years. Mr. Pulaski’s practice combines his years of experience in counseling clients with respect to the acquisition and sale of real estate (both unimproved and improved), the development and re-development of real property, the financing of the purchase (and re-financing) of real estate projects and representing both landlords and tenants in leasing of real estate. Mr. Pulaski’s real estate practice also covers negotiation and preparation of leases and contracts regarding purchases and sales of office buildings, shopping centers, apartment projects, office warehouse and residential properties such as homes and condominiums. Mr. Pulaski has extensive experience in dealing with purchasers and landlords and tenants with respect to shopping centers and office buildings throughout the United States. Mr. Pulaski’s practice also encompasses the structuring of various types of entities involved in purchasing, owning, managing, and syndicating real estate projects. Mr. Pulaski has worked many large transactions. The most recent of which involved his client’s purchase (and financing) of a 60 million purchase and loan package of multiple service station-convenience stores. Copyright © 2019 Weycer, Kaplan, Pulaski & Zuber, P.C.